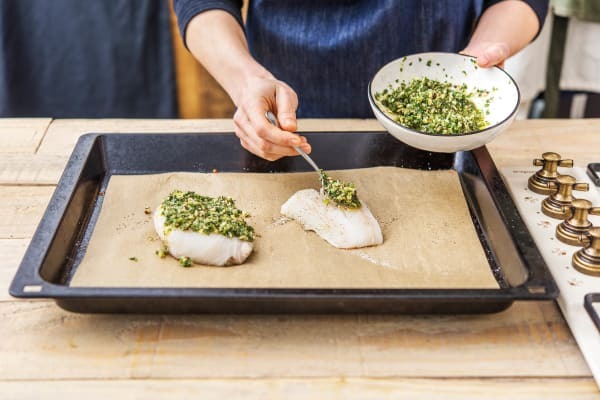 Hazelnuts and herbs combine to make a fabulous pesto crust for flaky haddock. 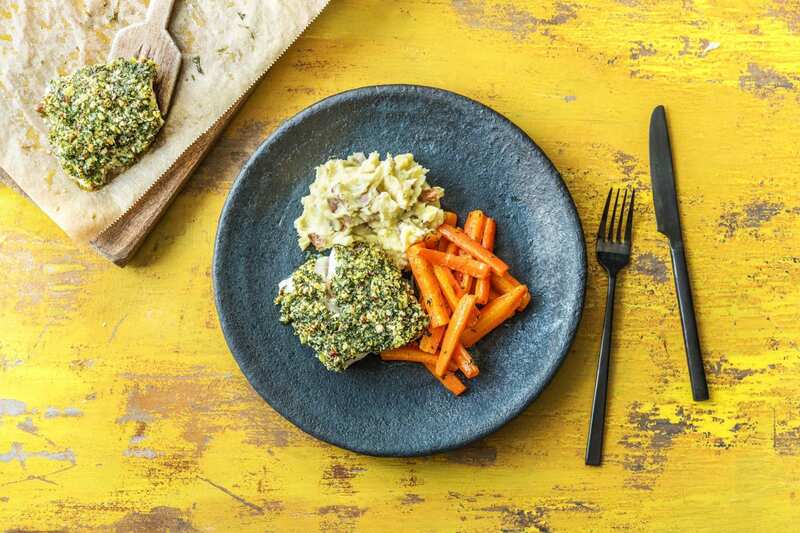 Served with fluffy mash and sweet, thyme-roasted carrots it makes a colourful and - more importantly - delicious plateful! 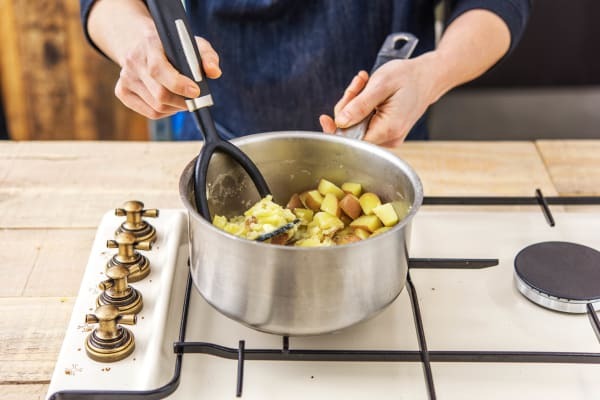 Preheat your oven to 180 degrees and put a large saucepan of water with a pinch of salt on to boil for the potatoes. Chop the potato into 2cm chunks (no need to peel!). 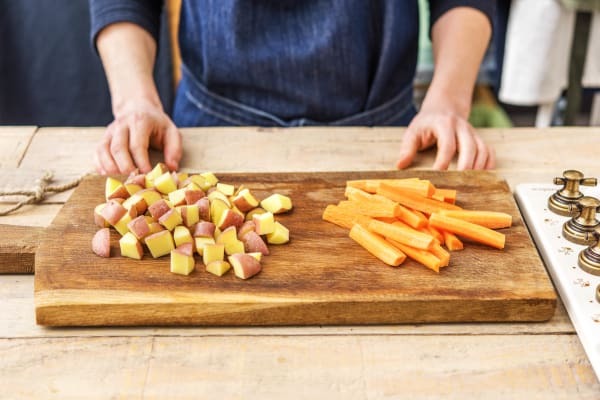 Peel the carrot, remove the top and bottom and chop into batons the size of your index finger. 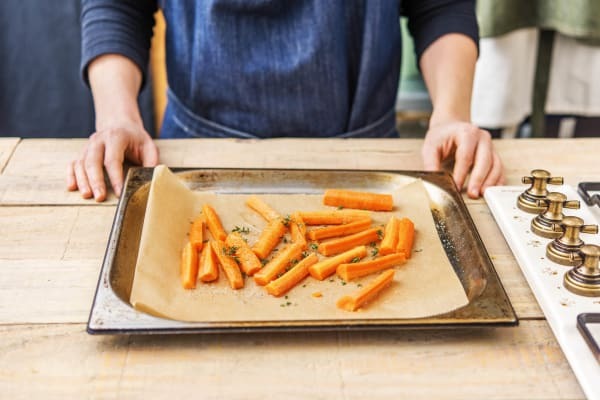 Put the carrots onto a large baking tray in a single layer. Drizzle with oil and season with salt, black pepper and the dried thyme. Put the tray on the top shelf of your oven and roast until soft and slightly crispy, 20-25 mins. Pop the potato into your pan of boiling water. Cook for 15-20 mins. Tip: The potato is cooked when you can easily slip a knife through. Meanwhile, finely chop the basil (stalks and all). Also finely chop the hazelnuts. Mix them both in a bowl with the panko breadcrumbs, oil (amount specified in the ingredient list), a pinch of salt and a grind of black pepper. 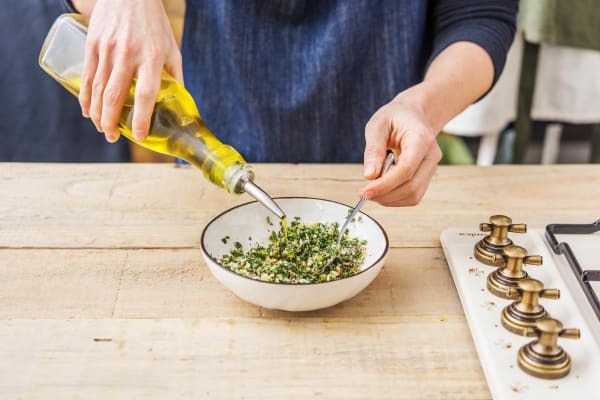 Tip: If the pesto is a little dry, just add a splash more oil. Line a baking tray with baking paper. Drizzle with oil and lay the haddock on the tray, skin-side down. Season each fillet with a pinch of salt and a grind of black pepper. Spoon the pesto evenly over the fish, pressing down with the back of your spoon as you go. Cook on the middle shelf of your oven for 10-13 mins. Tip: The fish is cooked when the centre is opaque. Once cooked, drain the potato. Allow to steam-dry for 2 mins, then pop back into the pan. Add the butter and a splash of milk (if you have some). Season with salt and black pepper. Mash until smooth, then taste and add more seasoning if necessary. Tip: Tasting is essential! 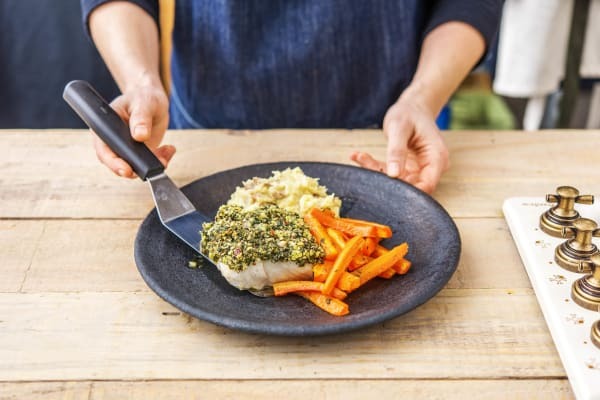 Carefully place the haddock on plates alongside a spoonful of mashed potato and some carrots. Devour!